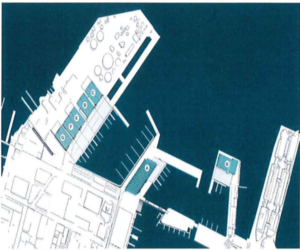 An application for Resource Consents for the establishment of an America’s Cup base in the Wynyard Quarter in Auckland was lodged with the Auckland Council by Panuku on 13th April 2018. On 17 April 2018, Panuku requested under section 87D (1) RMA that the council allow the application to be determined by the Environment Court. The applications were fast tracked under the direct referral process, and were heard by the Environment Court earlier this month. The Environment Court released its decision approving the application on 25 September. (a) A land use application for the establishment of structures associated with the America’s Cup, and for the “Event” itself. Cup, and for the “Event” itself. Consent was also sought for associated land disturbance activities, including earthworks and tree removal, also infringement of the noise and vibration standards. (b) An application for the discharge of contaminants to land and water in consequence of storage of the dredged material and use in construction. (c) An application for the diversion of groundwater associated with ground stabilisation works. (d) An application for the diversion and discharge of stormwater runoff associated with the impervious areas for Bases C to G.
(e) An application for structures within the coastal marine area including infill deck areas to Wynyard Wharf, a 74m extension to Hobson Wharf, four new breakwaters, and wave attenuation panels on Hobson Wharf (including the extension) and Halsey Wharf. (f) An application for the occupation of the common marine and coastal area in association with those structures. (g) An application for capital works dredging within the coastal marine area to increase navigable depth for the boats. (h) An application for the America’s Cup events to be held within the coastal marine area. (i) An application for other discharges of contaminants. to air associated with the storage of dredged materials and use of cement during construction. (j) An application for the discharge of industrial or trade activities. (k) An application for other discharges of contaminants. (i) An application for disturbance of contaminated land under the NES regulations.